On Saturday 12th August 2017, Belfast Association of Rock Climbers and Fell Runners (BARF) hosted the seventh race of this year’s Northern Ireland Mountain Running Association (NIMRA) Championship, the Seven Sevens Mountain Race. 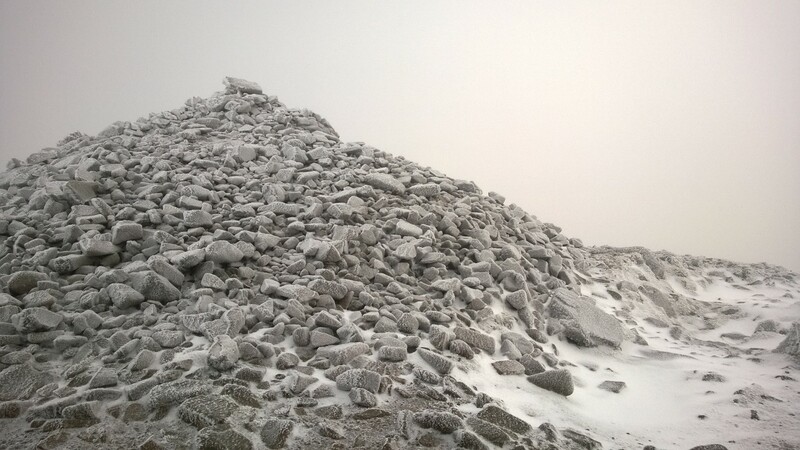 The route, classed as a long race in terms of the Northern Ireland Mountain Running Association (NIMRA) Championship and takes in the seven highest peaks in the scenic Mourne Mountains. At 19 miles in distance, with over 8,700 feet of climbing, the race covered Slieve Donard and Slieve Commedagh first, followed by Slieve Berangh, Slieve Meelmore, Slieve Meelbeg, then descending to Ben Crom Dam, before the final ascents of Slieve Binnian and Slieve Lamagan. The start and finish was at the Pavilion in Donard Park, Newcastle. 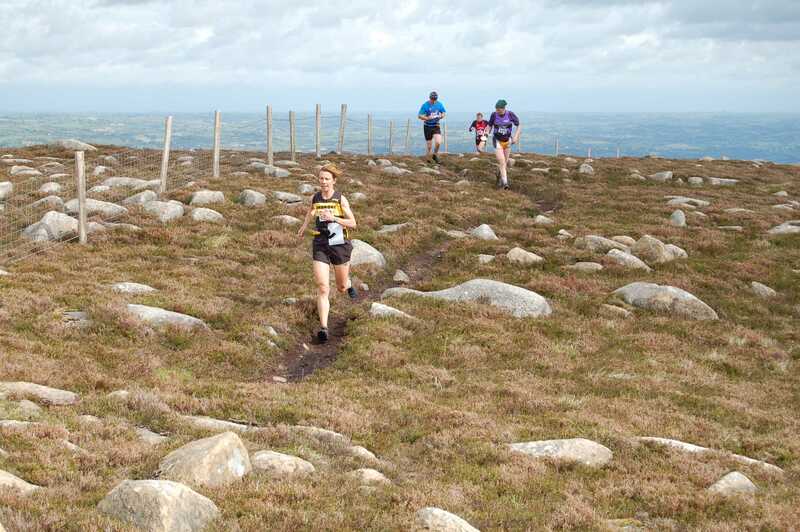 It is a race that can create surprising results depending on what type of the weather the Mourne Mountains wants to dish out. There were 150 runners who put their foot on the line to take up this challenge with some doing the race for the very first time. I mean how hard can it be…..
Newcastle AC’s Seamus Lynch made a welcome return to the mountains and would always be favourite for this race and by the Dam it certainly looked like your money would have been safe with Paul Pruzina 3mins back and David Hicks a further 3 mins back from Paul battling with Neil Andrews for the podium positions. A the Dam it is classed as only half way even though you only have two mountains to summit before the finish. Many a race has been lost in the second half and it was David Hicks who would make his move and start his chase down first of Paul Pruzina. Once he made that catch he was honing in on Seamus. Alas he he would run out of mountain and fail to make the catch by a mere 30 seconds. Paul Pruzina would hold off Neil Andrews to complete the podium and make it 3 men under 4 hours. Course record holder Diane Wilson (Dromore AC) took the ladies title with a dominant performance. Diane looked comfortable at the Dam and was well looked after by her team to see her top the podium after running 4:25:16 for 1st place and take 8th overall to show just how impressive her performance was. Adventurer Moire O’Sullivan (Unattached) secured 2nd place in 4:52:14, while Esther Dickson (Newry AC) followed in 4:57:53 (3rd place). All in all it was a race full of stories of people breaking pb’s and talking about what could have been if they had more training/faster legs/better route choice and if the mountains weren’t as steep. As always it was a professional setup from BARF so many thanks to all the marshals and helpers who took the time to make this a great race. Only two races to go in the NIMRA Championships with Slieve Bearnagh next up on the 19th August. The results can be found on the results page here. A few photos can be found here. The NIMRA Championship tables have been updated here.